July 5th - Out of Time! Today's concept was to draw two time periods together. 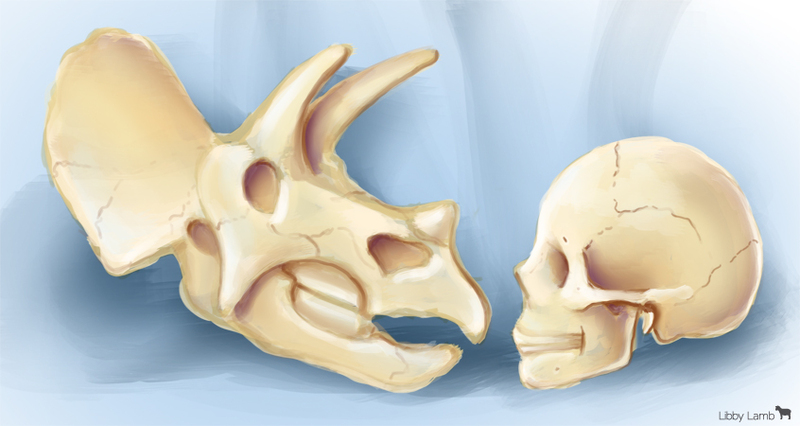 So I give you an old triceratops skull and a more recent human skull.